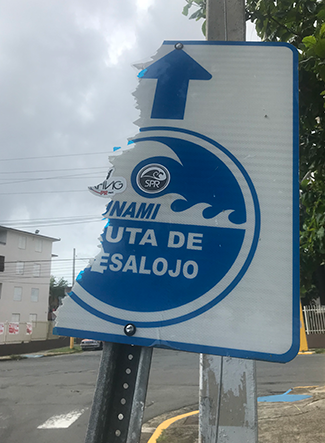 According to Environmental and Natural Resources law professor, Cliff Villa, seven months after landfall, talk of Hurricane Maria on the island of Puerto Rico continues to stir strong emotions. But one of those emotions is gratitude. 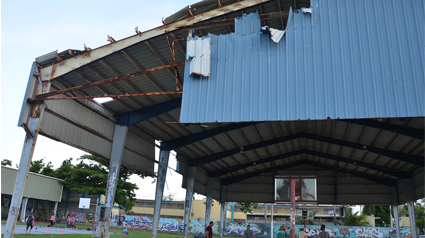 Echoing comments heard from across the island throughout his recent visit, some residents spoke of the devastation wrought by Hurricane Maria last September as a “blessing in disguise” for Puerto Rico. Some describing it as a best chance for rebuilding both the economy and infrastructure of the island. According to Villa, anyone with means is buying their own generator now, and no one seems fixed on assigning blame for Hurricane Maria. With June already at hand next month, there is simply too much left to do to prepare for the next hurricane season. Legal Planet is a collaboration between faculty at UC Berkeley School of Law and UCLA School of Law that provides insight and analysis on energy and environmental law and policy. Villa is the author of numerous publications and articles including, A Practical Introduction to Environmental Law (Carolina Academic Press 2017), with Joel Mintz, Nova Southeastern Law School; Steve Gold, Rutgers-Newark Law School; and Kalyani Robbins, Florida International University College of Law, Law and Lawyers in the Incident Command System, 36 Seattle U. L. Rev. 1855 (2013), Rising from the Ravages, The Lawyer (Sept. 2014), The Practice of Disaster Law, ABA Law Practice Today (March 2012), The Road Taken: A Reflection on Michael C. Blumm & William Warnock’s Roads Not Taken: EPA vs. Clean Water, 34 Envt’L L. 809 (2004), and more. For more information on Professor Cliff Villa, please see his online profile. For more information on Legal Planet, please visit their website.